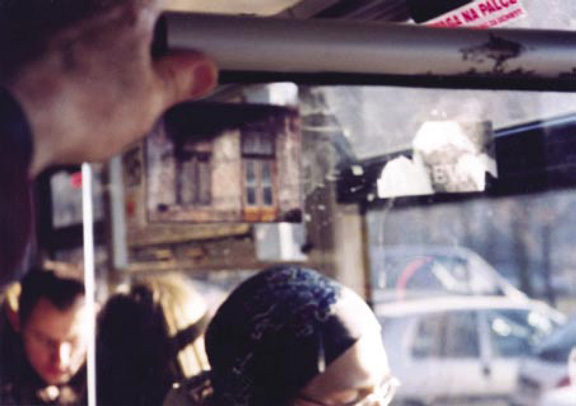 THE starting point for a quick and spontaneous project performed by Jacek Bakowski was his deep interest in time spent travelling.From there comes his positive attitude towards young people who stick little pictures and slogans on buses and trams. In this way they try to enliven the monotony of commuting. Another direct impulse was probably that of announcing last March the Month of Photographic Art, which was hardly noticed in the city. A journey is a period of reflection in itself. It is a break, which enables one to distance oneself from reality, which is sometimes very positive. An inspiration for such reflection can be found also in stickers, which activate the imagination and mind in an intriguing, yet subtle way. As the official exhibitions of the Month of Photographic Art did not impress Jacek enough, he decided to comment on the situation by organising his own exhibition project. The site of the show were Warsaw buses.The method was the same as with stickers. 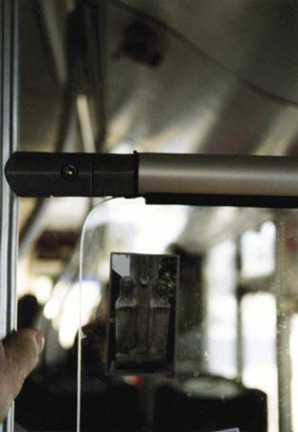 Jacek looked through his photographs (which he has taken in large numbers) and in the form of stickers placed them in buses. To do it he selected 34 photos, made 100 miniature adhesive copies and decided to stick one copy on one bus. During the following two March weekends he travelled by bus a hundred times. It took him quite a few hours and was confidential. Only four people noticed him doing it. He admitted that the effort to be discreet had doubled the thrill. Every sticker was photographed before getting off, which added still more excitement. With some photos there appeared a kind of tautology e.g. 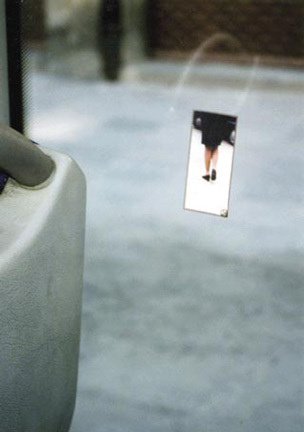 one of the stickers shows a banal scene of a boy taking a photo of his girlfriend somewhere in Antverp and is once again shown in a photograph documenting the whole process. It is not hard to find the basic meaning of the happening. After all, this momentary adhesive photo bus exhibition took place during the Month of Photographic Art. Jacek has chosen small size pictures which are not expected to appear in any renowned museum or gallery and do not have to be put in expensive frames or passe-partout. A variety of photos have been selected to evoke various reactions, and their close proximity causes surprise or astonishment. It is not the first photographic activity conducted by Jacek Bakowski among people. Just like his previous exhibition in Mała Galeria, the show Quite a Ride comes from the idea of creating a situation in which it is possible to influence the spectator - participant of the project. It is an attempt to become one of a crowd, to integrate, but also to empathise with a much younger generation. The deliberately chosen form is closer to that generation than other manifestations which have functioned until now as photographic art. Perhaps the role of photography understood in this way will become more comprehensible than many other sophisticated exhibitions or publications. bought for the price of a ticket. on one hundred Warsaw buses. which was announced the month of photography. with all this sticky business. 2004 – UL. PRÓŻNA, projekt scenariusza filmu dokumentalnego o „Dzieciach Holokaustu” z grupa młodzieży 37 LON. 2005 – CHOCIAZ MATKA ZAWSZE WYCHWALAŁA BIŁGORAJ, OKAZAŁ SIĘ JESZCZE PIĘKNIEJSZY NIŻ NAM OPISAŁA, wystawa w Galerii Biłgorajskiego Centrum Kultury. 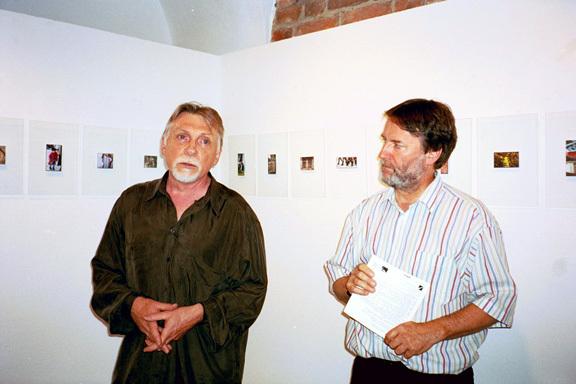 Jacek Bąkowski (left) opening his exhibition "Quite a ride", at Mala Gallery, Warsaw, July 5th, 2005. Photo by Jerzy Łapiński. 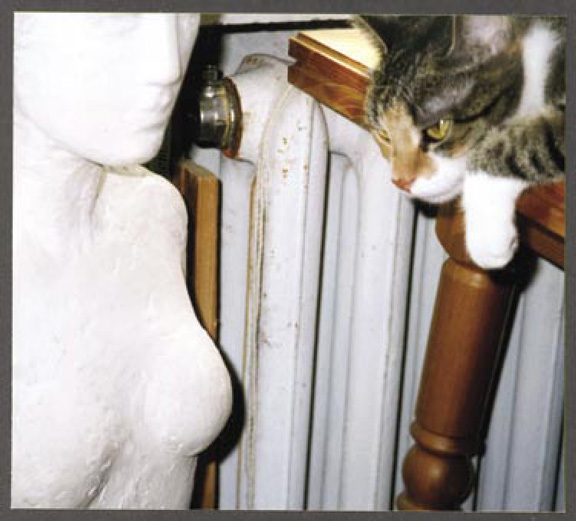 Jacek Bąkowski: "All day with you", Mala Gallery, Warsaw, October 2003 r.